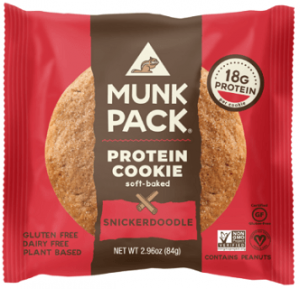 Free Muck Pack Snickerdoodle Cookie! Who doesn’t love eating cookies? These ones are packed with protein, so if your on a high protein diet this could work for you too! you have to screenshot one of the images in their stories, doodle on the image, and then share to your feed. Be sure to tag @munkpack and #doodleyourdoodle so they can see your entry. All entries will be sent a Snickerdoodle to try for free! This sounds good and a healthy alternative to junk food. I am up to try a snickerdoodle. One of my favorite cookies.